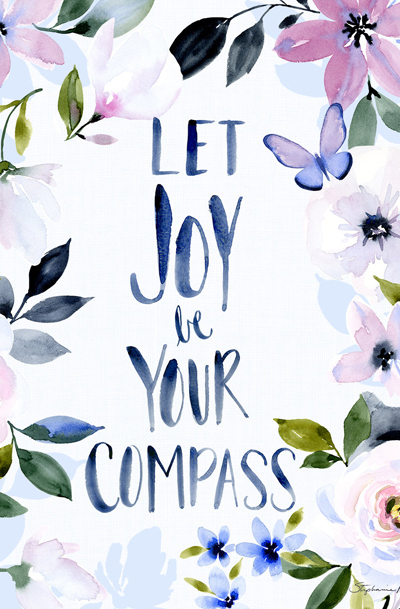 Archival quality print reproduction of my watercolor art painting, Let Joy be your Compass. This piece is printed on beautiful high quality archival matte paper with archival inks. All prints arrive sealed in a cello sleeve in a protective cardboard envelope.